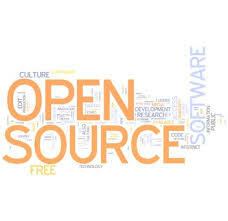 ItVoice | Online IT Magazine India » 10 Amazing Open Source Tools To Make Life Easier For Web Designers! April 21, 2019 10:50 pm You are here:Home Computer Hardware10 Amazing Open Source Tools To Make Life Easier For Web Designers! 10 Amazing Open Source Tools To Make Life Easier For Web Designers! Scalability and performance are important factors when you’re designing a web application. Every web designer must take these two steps into consideration before building their application. There are a number of ‘good’ tools out there that you can use. Here are 10 of the most popular ones. KompoZer is a complete web authoring system that combines web file management and easy-to-use WYSIWYG web page editing. Ideal for non-technical computer users who want to create an attractive, professional-looking web site without needing to know HTML or web coding. Notepad++ is a free source code editor and Notepad replacement that supports several languages. Running in the MS Windows environment, its use is governed by GPL License. Based on the powerful editing component Scintilla, Notepad++ is written in C++ and uses pure Win32 API and STL which ensures a higher execution speed and smaller program size. Combines the best functionality of Unix, Windows and MacOS text editors. Runs on any operating system with a Java 1.6 or higher virtual machine – this includes MacOS X, Linux, Unix, VMS and Windows. GIMP is an acronym for GNU Image Manipulation Program. It is a freely distributed program for such tasks as photo retouching, image composition and image authoring. GIMP is written and developed under X11 on UNIX platforms. But basically the same code also runs on MS Windows and Mac OS X. It can be used to draw many different kinds of diagrams. It currently has special objects to help draw entity relationship diagrams, UML diagrams, flowcharts, network diagrams, and many other diagrams. It is also possible to add support for new shapes by writing simple XML files, using a subset of SVG to draw the shape. Cyberduck is an open source FTP and SFTP, WebDAV, Cloud Files, and Amazon S3 client for Mac OS X and Windows licensed under the GPL. Cyberduck is written in the Java language and using the Cocoa user interface framework.